I can't believe how fast time goes, the last month of 2014!! 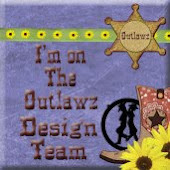 And the sketch challenge on The Outlawz has a fabulous sponsor this month!! Welcome to this week's sketch challenge!! Are you all ready for the month of December here at the Outlawz Sketch Challenge? It’s holiday season and it is so much fun to celebrate the season!! A time to reflect on our blessings and enjoy the festivities! This month we will start with a bonus prize. 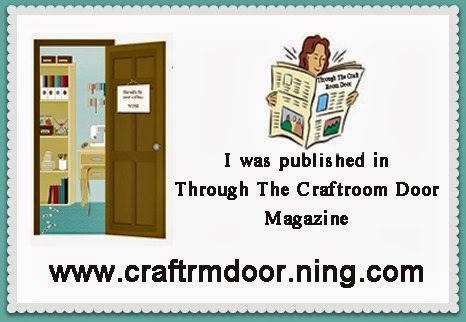 If we reach 40 entries in this month, we will draw an extra winner for the bonus prize, a gift voucher of $5 for Make it Crafty. On behalf of Sandra, Trina, Pat, Margaret, Lisbeth, Emily, and Nini, I want to thank everyone that submitted their projects in last week's challenge! The entries were all fabulous and it was fun to see your creations! We love seeing what you come up with using our sketch as inspiration. 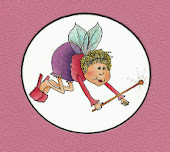 Remember you can create anything, a card, tag, scrap page, as long as the sketch is your inspiration and recognizable. 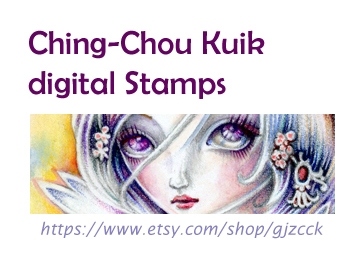 For the month of December, we have Ching-Chou Kuik Digital Stamps for our sponsor! 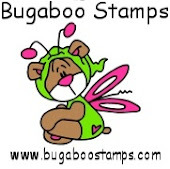 Our monthly winner will win a prize of 3 digis from Ching-Chou’s Etsy store. 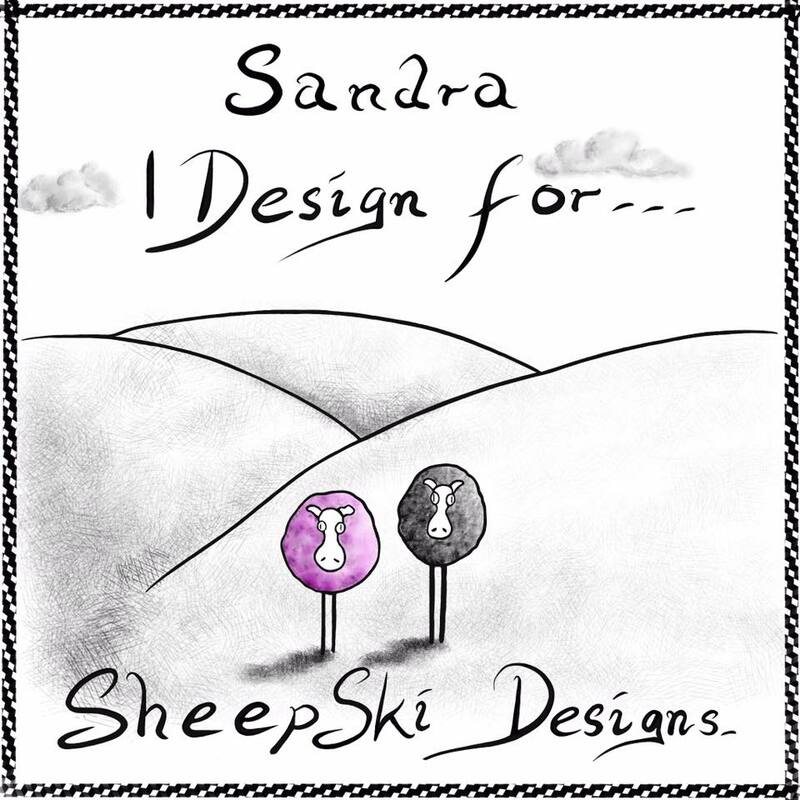 Please stop by her store and see her wonderful designs. And did you know that we celebrated 3000 members a few days ago? That’s right……it was a long time coming, but we got that 3000th member on Sunday and they are still rolling in which might have a little something to do with the addition of a new challenge! The Progressive/Freebie Challenge kicked off December 1st. FOR DETAILS CLICK HERE! Okay, enough chit-chat, let’s get on with this week’s challenge! And now for some inspiration from our very talented Sketch Team. All of the digis shown are by our December sponsor, Ching-Chou Kuik and are available for purchase at her Etsy store. If you play along this month, you will have a chance to win 3 digis from her STORE. Sandra has used Ching-Chou Kuik's image, "Scarlet Lips", to make a beautifully colored card. Margaret has used cool tones of blues, greens, lavenders to show how papers can be such a fantastic showcase for this adorable :Shih Tzu" image by Ching-Chou Kuik. Fanny (Nini) made a gorgeous scene with the "Dandelion Field" image by Ching-Chou Kuik. Pat used the "Shih Tzu" image by Ching-Chou Kuik. Isn't the coloring fabulous? Just when you thought Halloween was over.......I couldn't resist making one more card with "Hallo Owlie" by Ching-Chou Kuik. I love this image!! Thank you for looking at our cards and we hope that you found some inspiration to take part in the Sketch Challenge!! We would really love to see what you come up with! Beautiful card Sandra!!! You are so talented!!! I love your coloring.